LINCOLN — Nawada Landscape Design, Inc. This project exemplified the updating of a formerly neglected landscape to a now thriving and inspiring environment. Defining scenic features of the site included steep slopes, striking views, and surrounding woodlands. New patios, stonewalls and hardy New England plantings constitute the new entertainment areas, and display an organized transition for the house and landscape beyond. The clients can now access these outdoor areas from several interior rooms. All circulation patterns were adjusted to link together the outdoor living and recreation areas, unifying the overall property. 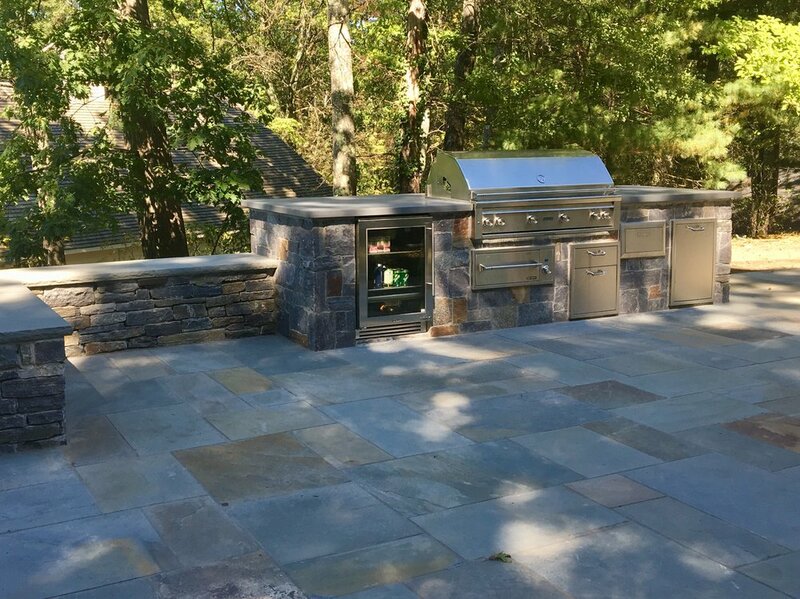 The multi-functionality of this space features two separate natural cleft bluestone patios to separate dining and cooking area. Fieldstone sitting walls delineate areas, and multi-seasonal gardens complement the bordering woodlands. The sophisticated cook station includes amenities for the chef of the house to test his culinary skills year-round.